Matt Beckwith is a huge Chick-fil-A fan. Well, at least he was until the company repeatedly failed to respond to a simple question about ice cubes. Beckwith tried calling, but wasn't able to get a live person on the phone. So he turned to Facebook Messenger and sent a message on two separate occasions without getting a response. As he wrote on the ICMI blog, his enthusiasm for Chick-fil-A has suddenly dampened. Companies failing to respond to customers is an epidemic. Customer relationship management software provider SuperOffice emailed 1,000 companies for its 2018 Customer Service Benchmark report; 62 percent did not respond. Social media software company Sprout has found that, on average, brands reply to just 1 in 10 social media messages from customers. Surely we can all agree that not responding to your customers is a recipe for failure. So the really big question is, "Why don't more companies respond?" Most customer service leaders would say that responding to customers is a priority. But there's a big difference between saying something is a priority and actually putting the investment and resources into making it a priority. Companies routinely fail to provide customer service channels with adequate staffing and resources. This is especially true with written channels such as email and social media. For example, smaller companies often have phone agents handle email in between phone calls and other tasks. This workflow naturally puts email in a backseat position. 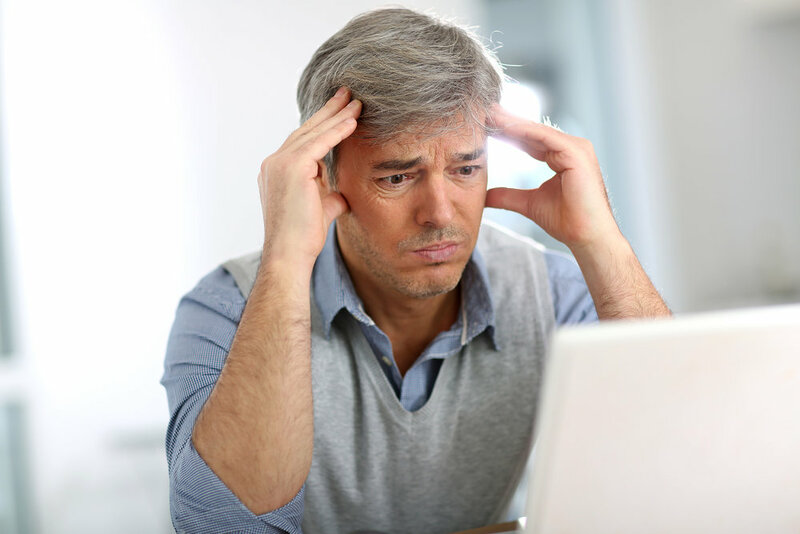 Customer messages languish in a general inbox until someone has a free moment to check them. 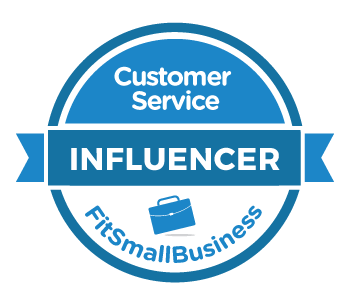 Data released in 2017 by the consulting firm Execs in the Know showed that the customer service department does not have any ownership of social media in 49 percent of companies. The same report also revealed that 22 percent of companies don't train their social media agents. Companies that truly want to respond to customers provide adequate resources. Contact center consulting firm Services Triad conducted a survey of 32 contact centers in Quebec to see what actions they took to ensure they had adequate staffing. While narrow in scope, I believe the results mirror what you'd likely find around the U.S. and Canada. 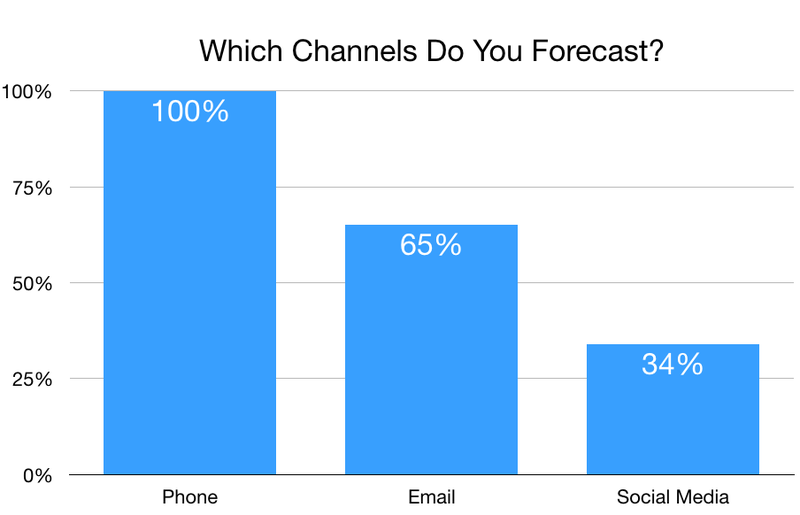 One question asked contact center leaders whether they forecasted customer contact volume for various channels. This is critical, since accurate forecasting allows you to have the right number of agents available to meet customer demand. The data shows that 35 percent of contact centers have no idea how much email volume to expect on a given day. That number jumps to 66 percent for social media. These contact centers simply react to what they get. Many customer service leaders have told me their teams often get overwhelmed. The same survey found that even the phone forecasts were lacking. For example, 56 percent of contact centers do not include time for customer follow-ups or callbacks in their schedules. Many contact center agents are closely monitored for how well they adhere to their work schedule, a practice which actually discourages responding to customers. Automation has been offered as a solution to help companies respond faster to customers, but it's not without challenges. Sometimes automation doesn't work. We've all suffered the embarrassment of trying to use the self-checkout kiosk at a store, only to need an associate to help us out. There are also plenty of examples of tone-deaf automated messages inserting themselves into social media conversations, like this one. Other times it just feels cold. There's nothing like getting a boilerplate "Dear Valued Customer" email to make you feel like you are anything but valued. My wife, Sally, and I want to install a smart thermostat at our vacation rental property to make it easier to control heating costs when we don't have guests. I went to the website for a popular brand and searched for documentation on vacation rentals. Finding nothing, I started a live chat session. "Can you share documentation on using your product in a vacation rental property?" I asked. The response was a link to an article about going on vacation. Not quite right. After a few back-and-forth messages the agent agreed to search for something and email me. The email was a link to articles about setting the thermostat when you go on vacation. Situations where agents don't apply basic reading comprehension skills are frustrating. It unnecessarily wastes customers' time. In my case, it drove me to a competitor. Here's a closer look at the problem and a few solutions. The NBC app wasn't working on my iPad, so I submitted an online support ticket. The text from my support ticket is at the bottom with the response at the top. This response had two big misses that show the responder didn't fully read or understand my question. First, the response asked me to search for my provider, even though I clearly state my provider in my message. **Bonus question to my technical friends** Do you think this response came from a human, a bot, or a human pretending to be a bot? What Causes These Reading Issues? Let's set aside an obvious possibility, that the agents hired for these jobs are not screened for appropriate reading skills. That may be true, yet there are still other possibilities. This is clearly a pre-written template. The sender ignored information I provided. Another possible root cause is a lack of quality monitoring. Here's a sneak preview from a study that will be released by ICMI in October. The chart shows the percentage of contact centers that monitor various channels for quality. This graph shows that most contact centers are monitoring calls while more than half aren't monitoring email or chat. The stat for social media is just sad. So if an agent exhibits poor reading skills, chances are the boss isn't paying attention. And if the boss isn't paying attention, you can be sure the agent isn't getting any feedback on how to do better. An immediate action is to review a sample of written communication from your agents. I did this exercise as a contact center manager and was shocked at how many emails contained a mistake or weren't as helpful as they could be. Create a customer service vision that focuses on customers, not transactions. Implement quality monitoring for written channels. Incorporate a reading comprehension assessment in your hiring process. Expectations were different in the early days of email support. You'd unplug your phone line and plug in your modem. The modem would make a series of awful noises while it connected. Several minutes later, You've Got Mail! This meant that customers often checked email once a day. The standard response time of one business day worked well back then. When I first supported email as a call center manager, customers would typically email in the evening. My team would get the message, respond during the day, and the customer would receive our reply when they checked their email again that night. Our biggest challenge? Anticipating our customers' next question so we could answer that one as well to prevent another email exchange. Today, many businesses haven't noticed that email no longer works that way. They're still offering dial-up quality support in an age of instant connections. Here's how you can avoid that. The easiest solution is to respond faster. The old one business day response time is no longer adequate. My research shows companies need to respond to emails within one hour. We now have access to our personal email 24/7. Our email is on our phones, tablets, and computers. Work time and personal time are more likely than ever to blend when it comes to personal communication. Want to test this out? Look at your customer satisfaction ratings for email support and segment those ratings by first response time. For example, contact center leaders at Palo Alto Software discovered customer dissatisfaction spiked when the company took more than eight hours to reply to an email. Even worse than a slow response is a half response. I recently emailed a company for support. It took over 24 hours to get a response. The response I did receive simply acknowledged my email and asked for more information. That additional information wasn't required. It turned out I was complaining about a known issue that affected other customers, too. Unfortunately, it took the company two full days to communicate this to me. Then, there's this example where a customer service rep was clearly in a hurry to just make the emails go away. Look at the average number of emails it takes to resolve an issue. If your customer service software won't easily calculate this, try sampling a set of emails. Look for exchanges containing multiple messages and see how many could have been handled with fewer replies. Those unnecessary emails are wasting your time and your customers'. You and your customers both gain if you can respond faster and better to email. Customers will use email if you can make it convenient for them. For low-urgency issues, it's easier to fire off a quick message than to spend 5-10 minutes on the phone or chatting with a support agent. The advantage to you is less traffic via live channels, which means less pressure to handle contacts in real-time. Responding faster requires some logistics. You'll need adequate staffing and solid email routing. You'll also get better results if you have separate teams responding to email and handling calls. Many contact centers move people back and forth between these teams, but asking people to handle email and phone simultaneously typically slows down response times and increases errors. Faster responses aren't always possible. In addition to the automated response, post your response time along with alternative channels wherever you display your email address or have a web-based email form. 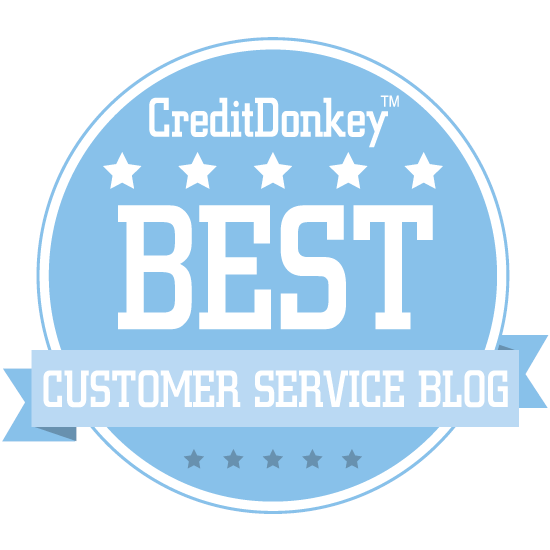 Customer service writing expert Leslie O'Flahavan offered several other outstanding suggestions in this interview. She also has a wonderful course on Lynda called Writing Customer Service Emails. The skills taught in O'Flahavan's course can help your team write faster, more thorough emails to customers. Here's a 30-day trial if you don't already have a Lynda account. LinkedIn Premium subscribers can also access the course here. The results of the 2015 Toister Performance Solutions email response time survey were released last week. Customer service writing expert Leslie O’Flahavan joined me for a Google Hangout interview to discuss the results and offer some tips to help companies respond faster and better. You may want to review the survey results before watching the interview. Here’s the video plus some additional links and discussion below. The survey suggested a new response time standard for businesses: one hour. A 2014 survey revealed the average business currently responds within one business day. Many businesses will risk disappointing their customers by prioritizing cost savings over responsiveness. You have to figure out where does quick overlap with good. O’Flahavan offered several suggestions for businesses to improve both speed and quality. One was a warm confirmation email that can be used to respond to more complicated problems and inquiries. You can also use this email to direct customers to other channels such as phone or a website that may be faster or more appropriate. Companies often face a challenge of coordinating email with other service channels. It wasn’t referenced in the interview, but O’Flahavan provides an excellent example in this recent blog post on her Writing Matters blog. The email response time survey revealed that people also expected co-workers to respond within one hour. O’Flahavan laid out a number of ways this unreasonable expectation might cause some workplace problems. For example, people are less present in meetings because they’re trying to respond to email on the sly. Wasted time is another potential problem. I recently discovered several surprising email stats including this one: the average person wastes 24 percent of their day on useless email. Do you have a question for Leslie? She’s very responsive to email.